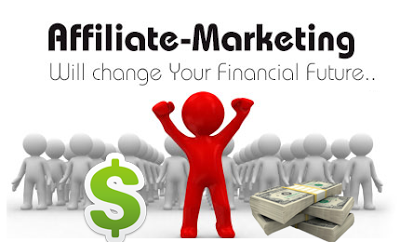 Before getting started let’s understand affiliate marketing. It is a type of marketing in which a person or a subsidiary group is attached to an organization as ‘affiliate’. It is performance-based marketing in which organization rewards to its affiliates for profit (sales/customer/leads) brought by affiliate’s own marketing. That is, the person connected to an organization has to put its own marketing efforts to promote or sell a product of company to which it is connected as an ‘affiliate’. Here, product or service which is promoted is typically called ‘affiliate product’. This product can be any service, physical product or online product. How SpryUp can help me to grow as an Affiliate Marketer? First of all, we will train you on affiliate marketing. You will understand from basic to advanced level the crux of affiliate marketing. What things work and what don’t? How to scale up and grow as an affiliate marketer? How to start your own affiliate marketing channel? Why should you learn affiliate marketing and start working as an affiliate marketer from today itself? It is a part-time job. It requires only a few hours of work per week. It is a source of good passive income. It requires fewer efforts than any other type of marketing plan. Just a good networking and communication skill is the key to successful affiliate marketing. So if you are good in that but not started as an affiliate marketer yet, then you are losing a lot of money. Does SpryUp has its own affiliate marketing program? Yes, we have our own affiliate marketing program. You can connect with us and start making passive income from today. How can I join SpryUp affiliate marketing program? Email us at business@spryup.com or use our contact form to reach us for more information on it.